Note: Click on the image(s) above to see larger version. 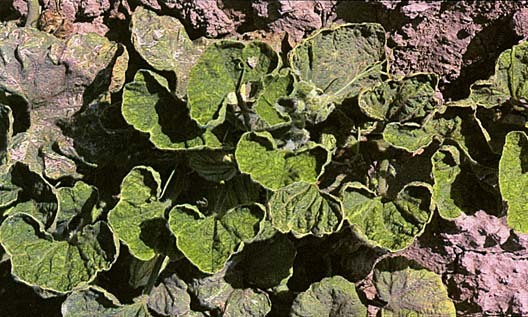 This virus affects most cucurbits, with cucumber showing fewest symptoms. 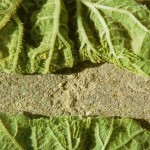 Leaves are cupped upward, new growth bends upward, and mid-vein portions of leaves are severely mottled. Flowers and fruit are small and abnormally developed. 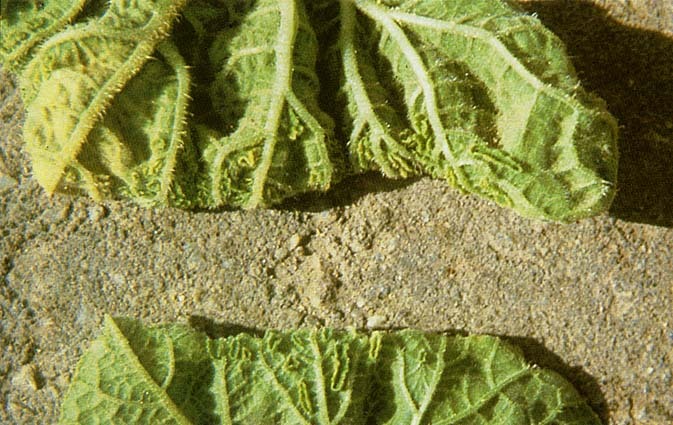 Control measures focus on lowering the potential virus inoculum in the area. Make sure weeds around the fields that may harbor whiteflies are controlled, alternate planting areas, and destroy infected crops as soon as practical after harvest. 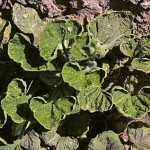 Controlling the whiteflies directly has not proved successful.